3 Place the SIM or USIM card on the SIM card tray with the gold-coloured contacts facing downwards. Use only a nano-SIM card. Place the primary SIM or USIM card on the tray 1 and the secondary SIM or USIM card on the tray 2. 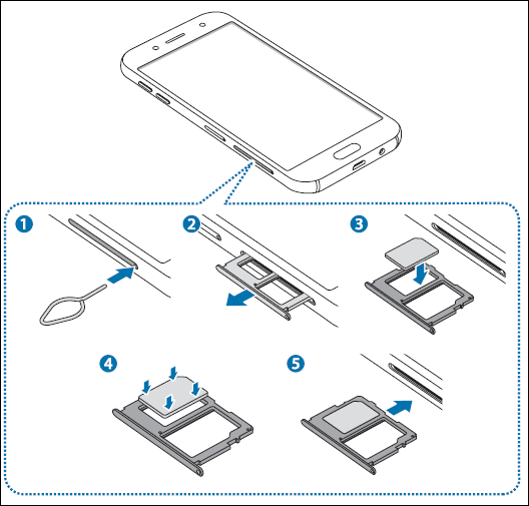 4 Gently press the SIM or USIM card into the SIM card tray to secure it.